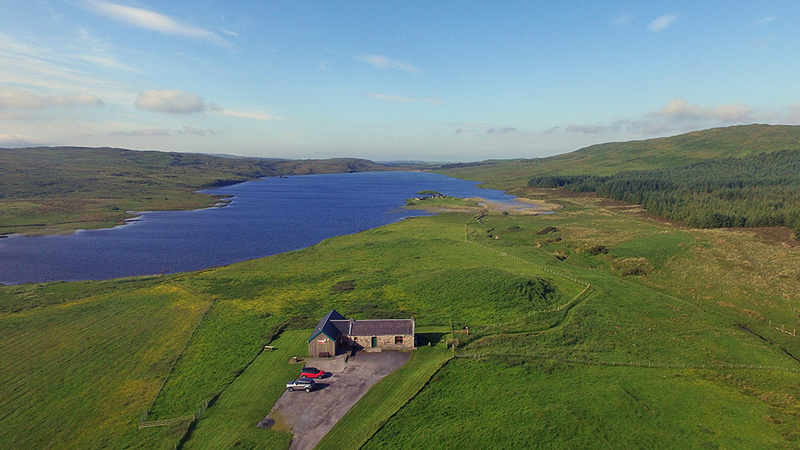 A nice sunny July morning view of Loch Finlaggan from the air, looking south. The Finlaggan Trust visitor centre in the foreground, Eilean Mòr and Eilean na Comhairle towards the right. The path to Finlaggan follows the fence towards the right. This entry was posted in Freshwater Loch, Islay from the air, Landscape, New Post, Sunny Weather and tagged Eilean Mor, Eilean na Comhairle, Finlaggan, Islay, Loch Finlaggan by Armin Grewe. Bookmark the permalink. These aerial views are so interesting!